This is a guest post from Amy, Client Success Specialist at Kickbooster.me. Using social media to promote your campaign is a smart move to advertise, gain more backers and support and create hype. A lot of campaign owners see great success in using social media but, surprisingly, some of them steer clear of the social media secret weapon: Instagram. But, with over 700 million users and tons of great marketing features, Instagram marketing is definitely not something you want to pass by. We have Amy from Kickbooster sharing her top tips for using Instagram for your crowdfunding campaign and why creating an account should be at the top of your to-do list. 3. Bio – Write a short blurb about the campaign or product. It’s smart to include your Twitter handle or Facebook page. Although you can’t include the links, it still allows people to search for your company across social media platforms. The “Website” form is where you would put the link to your campaign page. If you haven’t launched yet, use your link to your pre-launch page. 4. Posts – The photos that people can click on to see captions and comments. Facebook pages are a great marketing source for your campaign but it’s not the only smart option. While you don’t necessarily need to have an account on every social media platform, it’s a great idea to have at least two. Your hashtags will reach across your social media which gives off a more professional vibe. If people miss your backer updates or upgrades on your campaign page, this is the place to let them know. Make sure people are in the loop with quick updates where everyone has time to catch up. 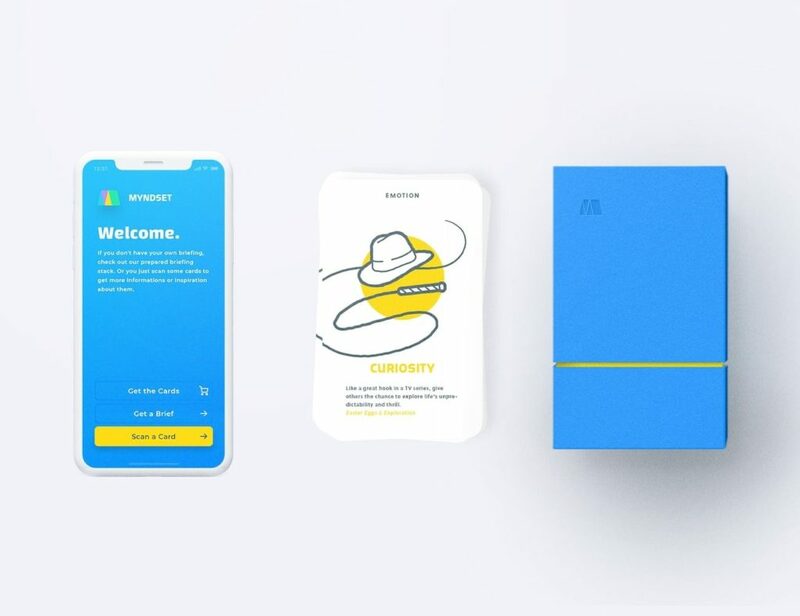 We completely understand that campaign owners wear multiple hats and are juggling a ton of responsibilities, however; marketing your campaign is only going to increase your chances of success. Use Buffer to schedule posts for your entire week with the click of a button. Seriously. We use it all the time! So, when you have the time, create great, follow-worthy content and allow Buffer to schedule the posts for you. As for Instagram, Later works as a great tool for scheduling (Buffer lets you schedule reminders for Instagram posting). How can I Use Instagram For Marketing? There are a ton of insights to consider, such as the time of day when your audience is most active as well as the demographics of your audience. This will help you post at high traffic times and target your content to a specific audience thereby increasing engagement. There are also some great tools that help you connect with your followers such as action and contact buttons. Backers and potential supporters can ask questions and reach out to you straight from your Instagram profile. Pretty convenient right? 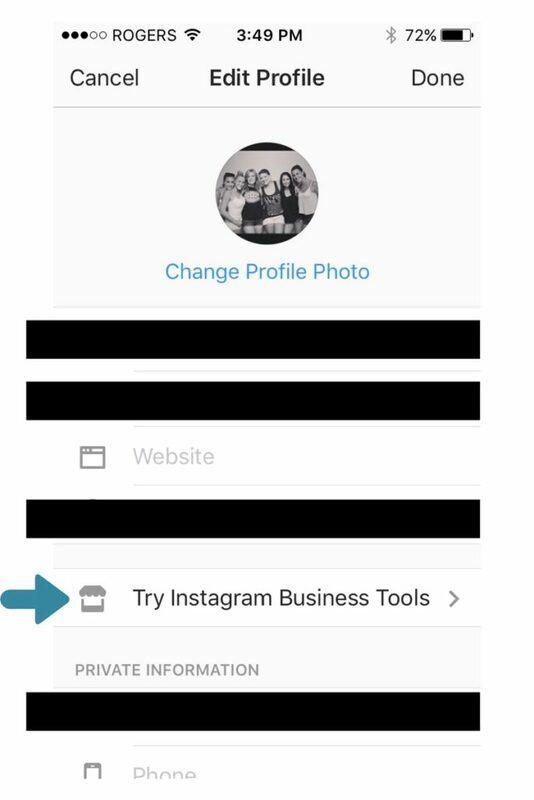 To check it out, go to the Edit Profile link while you’re logged into Instagram and you will see the Try Instagram Business Tools link on that page. Hashtags are a word or short sentence after the sign (#) that users can both search for and use on their own posts for finding and creating relevant content on Instagram. If you set your profile to public and people search hashtags that you use, your posts will show up in the search results. But, Instagram is popular and there will be a ton of results so you have stand out. First, make sure the hashtags you post are actually relevant to the photos and captions you’re posting. It’s not only confusing for users when they aren’t but it actually looks like you don’t know what you’re doing- never a good sign. Also, if you use hashtags that have nothing to do with your posts, Instagram may mark you as a spammer. Next, create a personal hashtag for your campaign and use it across posts. Combine popular hashtags and custom hashtags for your campaign (called branded hashtags). Branded hashtags make up the majority of hashtags on Instagram and for good reason- they link people right back to your company, improving brand awareness. Bonus! Branded hashtags also allow you to use user-generated content (UGC). UGC is an amazing way to engage with your followers and is the backbone of Instagram marketing. It allows users to create content for you through the use of fun contests or calls to action (more on this later). Plus, when users create content for your brand, it creates a human element that people will trust. In fact, 86% of people say that user-generated content is a good indicator of a great brand. Instagram allows you to search by hashtags, so search the hashtags you want to use to find out how popular they are. But, most popular is not always best. When you use popular hashtags, you’re technically competing with all those other posts using this hashtag. If you use a less popular version of the hashtag, your competition decreases and you have a better chance of being seen while still using a popular choice. You got it, right? But, just how many hashtags should you use? Instagram allows you to have up to 30 but don’t use all of them. Studies show that posts with 11 hashtags get the most engagement. If you can’t think of that many relevant hashtags for your post, don’t go crazy trying to figure it out. 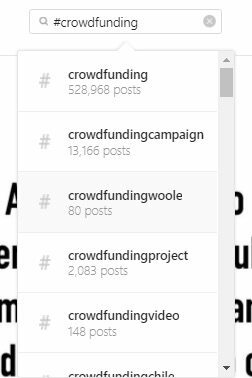 It’s best to have a few hashtags that make sense rather than a large number that don’t. And, remember to always include captions with your images. Captions are a great way to communicate with your followers and are just as important as the images you choose to share on Instagram so use them wisely. Calls to Action simply request your followers to complete some sort of action after viewing your post such as sharing, commenting, and liking. 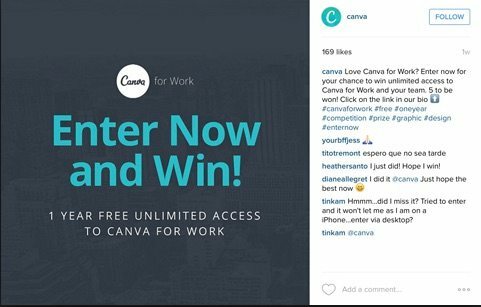 You can ask questions and hold contests to increase user engagement and elicit responses. The easiest and most common call to action is to mention that the link is in the bio, the short bit of information right below the account name. You’re only allowed to have one link on your account and many see this as a downfall of Instagram marketing. But, it doesn’t have to be the same link throughout your campaign. The obvious link to place here would be the link to your campaign page. But, as your posts change and you want to link contest pages or other relevant sites, you can do so by commenting “link in bio” after your explanation and change the link to the relevant site. Just don’t forget to keep updating the link. People will ask some great questions in the comments. If you’re answering in a quick and friendly manner, you not only create reassurance and a great presence, you can convert followers who are on the fence about pledging or upgrading their pledges. You may have some negative comments on your posts, but don’t worry. Even Fortune 500 companies do! It’s the way you handle negative comments that says a lot about your brand. Remember that everyone can see your responses so try to handle the negative comment or question in a respectable way. You should also comment on other posts that are relevant to your company. This shows you’re interested and engaged in the field. Avoid direct comments like “check out my campaign” which are often viewed as spammy. Instead, use insightful, intelligent comments to show credibility in order to draw people back to your page. Instagram Stories are photos and short videos up to ten seconds that gives people a quick snapshot of the daily happenings behind your campaign. The Stories disappear after 24 hours and are a fun way to give people a sneak peek at your campaign. Use them to share info about your campaign, products, or any announcements such as stretch goals or milestones you’ve reached in your campaign. We love them because they allow users to see the humans behind the campaign and that you’re not some random person online. 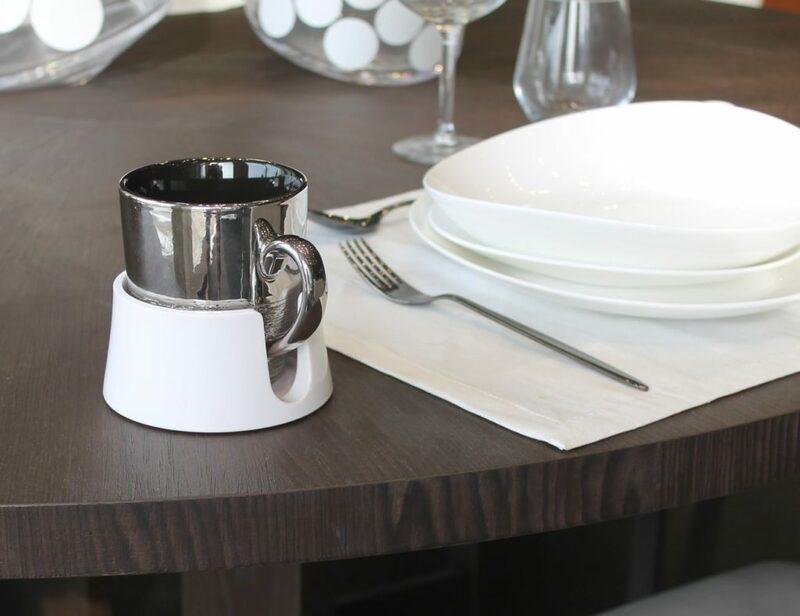 They can get to know you and the process behind your products and develop a connection. 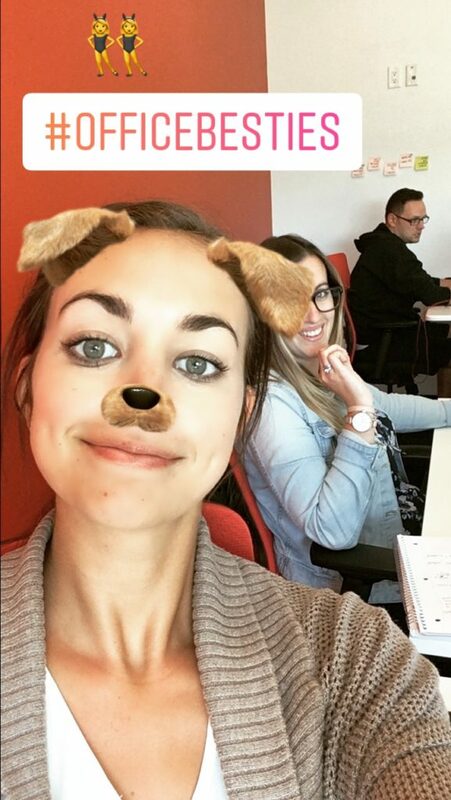 There are a lot of fun features for Instagram Stories too, such as face filters and hashtags. Plus, you have full creativity of your story and can create some cool art around your photos. If you’re new to Instagram marketing, this may seem like a lot to learn but trust me it will be worth it and you’ll catch on quickly. This diverse app will help you build your brand and your following. Plus, you know that you’re not just building a following, you’re building a loyal network of fans that will be with you throughout your campaign as well as future campaigns if you do it right. Start off with friends and family to get the ball rolling and follow our tips to keep it going. Happy Instagramming!